For many entrepreneurs, the thought of building a successful company and eventually selling it for millions of dollars represents the entrepreneurial dream. You can increase the likelihood of achieving this goal by taking specific steps to prepare your company for a successful merger and acquisitions transaction. Grow your profits. Focus on ramping up net revenue and profit. Don’t be overly attracted by top line (gross) revenue, as the majority of acquirers will boil down your revenue to net — or EBITDA (earnings before interest, taxes, depreciation and amortization). EBITDA is likely to be the metric used for valuation purposes. Make sure you do everything you can to grow this number. As a general rule, the higher your EBITDA, the higher your buyout will be. Button up your books. An audit or professional review of your financials is likely to be required as part of an M&A process. Therefore, you should consider getting one or the other completed (by a reputable auditing firm) sooner rather than later. An official review or audit will also give your buyer confidence about your revenue and will educate you on what a GAAP audit/review looks like. The importance of tightening up your financials and focusing on what matters cannot be overstated. For M&A purposes, focus on what the acquirer is looking for. Set up a revenue juggernaut. Set up a revenue juggernaut (with somewhat unknown potential) that will allow you to get a higher multiple. The juggernaut should be software if possible (transaction based and/or reoccurring revenue). Make sure your juggernaut has an aggressive monetization strategy. Address any skeletons in your closet. Don’t allow surprises to come up during due diligence. If there are any potential fires, put them out prior to entering an M&A process. Address conflicts — come clean with anything that a buyer may consider “unsavory” and have a short (60 seconds max) explanation for the issue or discrepancy. There is absolutely no reason to apologize for anything that happened in the past. Put your emotions aside. Explain and move on. Put together a 3-year financial projection. It will be necessary to put in place 3-year financial projections. Make certain the numbers you project are achievable. Hitting your financial projections will be absolutely critical once you begin the M&A process, including due diligence and negotiations. Hitting/beating financial projections is great while in the M&A process; missing financial projections can halt the process or seriously jeopardize the value of your sale. Focus on sales and growth. Any prospective buyer is going to look closely at the growth potential of your business. Therefore, prior to and during an M&A process, it makes strategic sense to grow your sales efforts, which may mean hiring additional sales reps and increasing your overall investment in growth initiatives. Create a SWOT analysis. Define your Strengths, Weaknesses, Opportunities and Threats. Your prospective buyer will attempt to poke holes in your business, since they will want to get the best price possible. Be prepared to focus on your strengths and opportunities and defend your threats and weaknesses. Increase your visibility. Prior to and during your M&A process, you should maximize whatever opportunities are available to increase the visibility of your business. Maximizing visibility might mean attending and speaking at trade shows, writing guest columns on blogs and issuing press releases about strategic hires, new products and company achievements. Identify potential acquirers. Create a list of all your potential acquirers. Be sure to include the obvious (similar businesses) and the not so obvious (businesses that would benefit from your services). Treat this list like a sales list — study the companies, introduce yourself, discuss strategic partnerships and always keep your prospective buyers in the loop on your milestones. Start paying yourself now. Entrepreneurs tend to commingle personal and business assets for convenience. However, for purposes of M&A, you should eliminate commingling and make certain that you are paying yourself a salary large enough to cover your basic expenses and enjoy a sense of financial security. When negotiating during an M&A process, demonstrate a history of compensation. Hire an M&A advisor. M&A advisors will do a lot of the heavy lifting in order to pitch your company to interested buyers. For starters, an M&A advisor will help you prepare a teaser document and management presentation for your business. They will also help you better understand and present your financials. Once you are ready to go to market, the advisor will make calls to prospective buyers and set up company management meetings. Hire a controller or CFO. Being able to effectively articulate your past, current, and future financial performance is critical to a successful M&A process. Have an experienced controller or CFO on staff to assist with financial analysis and management. Cut the fat. Carefully look at your expenses and ask what “fat” can be cut to improve EBITDA, margins and overall profit. Can you get better performance (to fulfill client demand) from existing staff before hiring new staff? Identify dead dogs. Carefully consider your current resource allocation. Can you move resources from one area (lower profit/EBITDA) to higher performing areas? Consider alternatives to M&A. Selling your company is only one of many ways to achieve a liquid event. Alternatives to M&A include venture capital, partial liquidation (pulling some chips off the table, but continuing to build for a larger buyout), or raising mezzanine or bridge financing (typically in the form of a loan with some equity; payback terms are most often tied to an eventual sale). If you want to sell your company because you don’t feel that you are ready to take it to the next level, you can always hire an alternative CEO and take a more advisory role. This article was originally published on StartupCollective.com and has been syndicated by KillerStartups with their permission. Kristopher B. Jones is a prominent internet entrepreneur, investor, public speaker, and best-selling author. 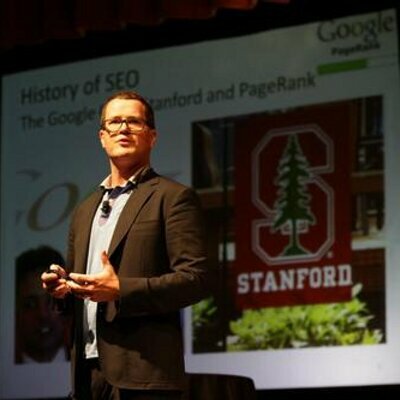 In 2008 Kris wrote a book on Search Engine Optimization that is currently in its third print for Wiley (2008, 2010, 2013) and has sold over 50,000 copies. Kris is the founder and former President and CEO of Pepperjam (sold to eBay), managing partner of KBJ Capital (13 companies), and the founder and current CEO of ReferLocal.com.